Hi Guess The TV Show Answers is run by fans of picture puzzle apps and trivia. We like talking about television shows and a variety of other things. This is an unofficial website, not endorsed by the developers of Hi Guess The TV Show. This site offers answers for every level and dialogue for fans, who enjoy discussing the game. 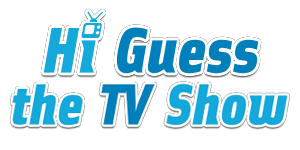 Hi Guess The TV Show Answers | Hi Guess The TV Show Cheats This site is not endorsed by or affiliated with CamMax.